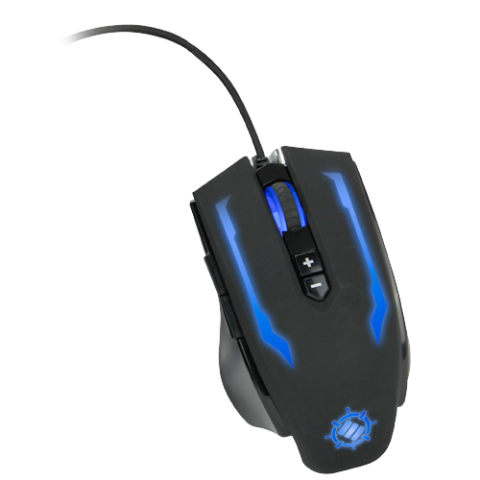 The Scoria Pro Gaming Mouse is the embodiment of top gaming performance. 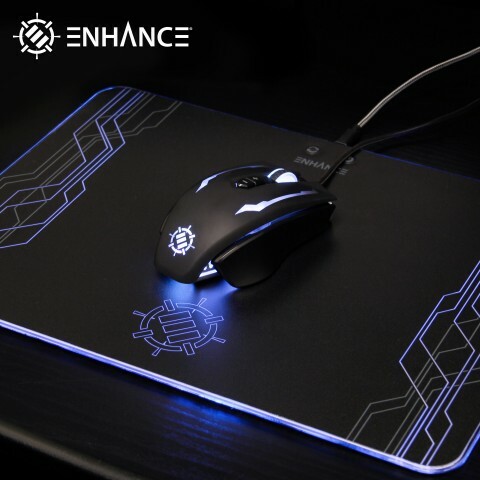 Equipped with customizable LED RGB lighting, 7 Programmable buttons, built-in DPI adjustment buttons, and custom profile creation, you'll have no issue making the Scoria the ultimate personalized gaming mouse. 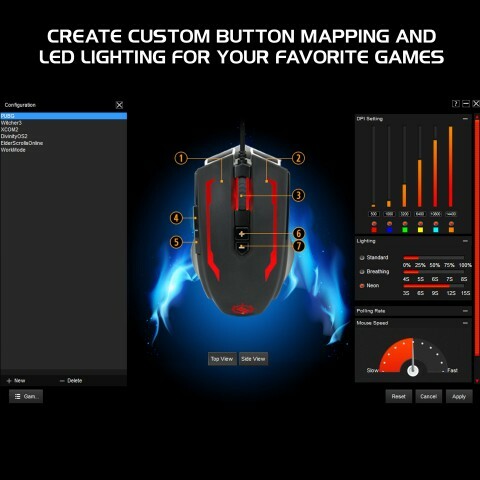 All the custom goodness is condensed into a light, easy to use software. 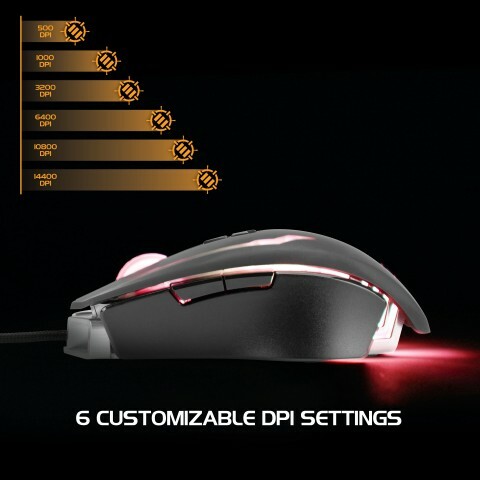 Boot it up and create up to 6 custom profiles, each with individual settings for polling rates, DPI intervals, RGB LED lighting, button programming, mouse sensitivity, macros, and more. 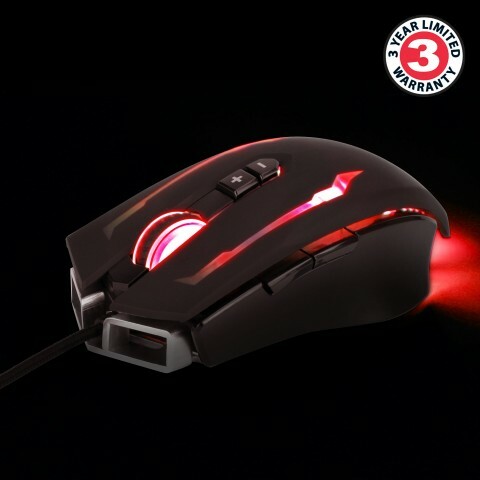 The Scoria also has on board memory that stores your gaming profiles so you can take it to go and not waste time adjusting your mouse settings. 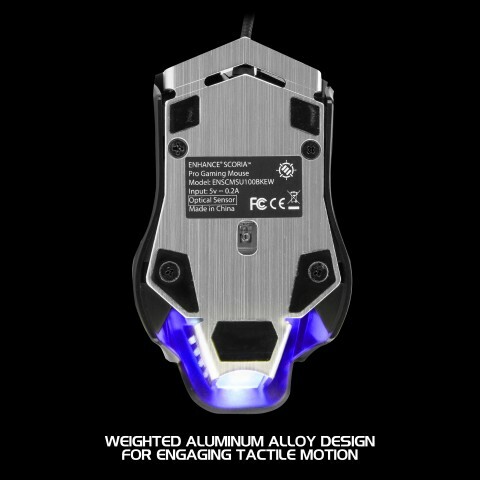 The Scoria Pro Gaming Mouse is built with an aluminum alloy body base, giving the mouse a slightly heavier feel. 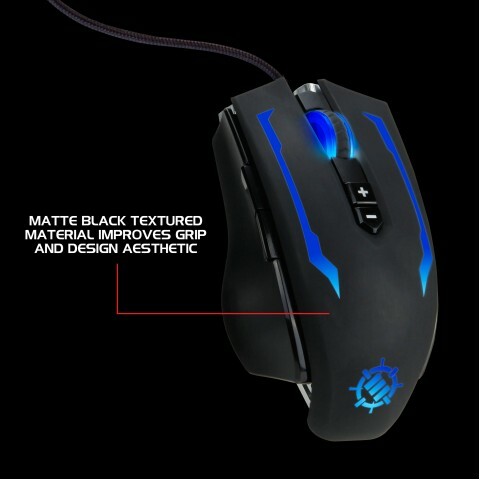 The denser metal body provides a more tactile and engaging response that makes every action immersive and deliberate. 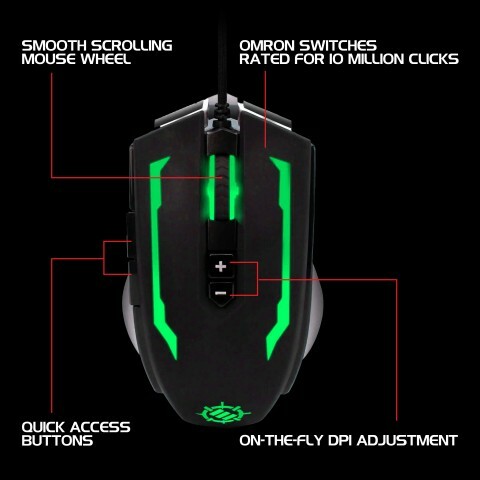 The ergonomic shape of the Scoria Pro Gaming Mouse is perfect for longer gaming sessions. 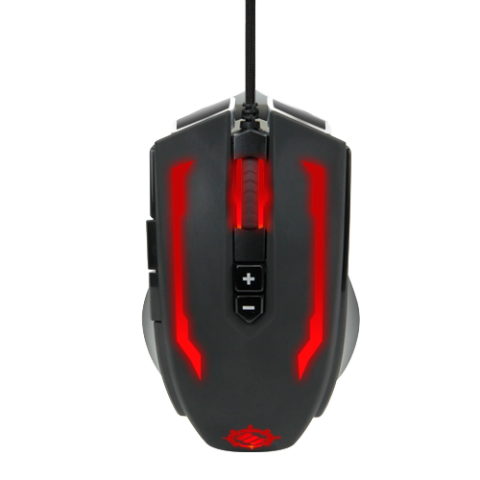 Curved for perfect balanced and to help reduce misclicks from finger fatigue, the Scoria Pro Gaming Mouse will help keep you in the game for longer.